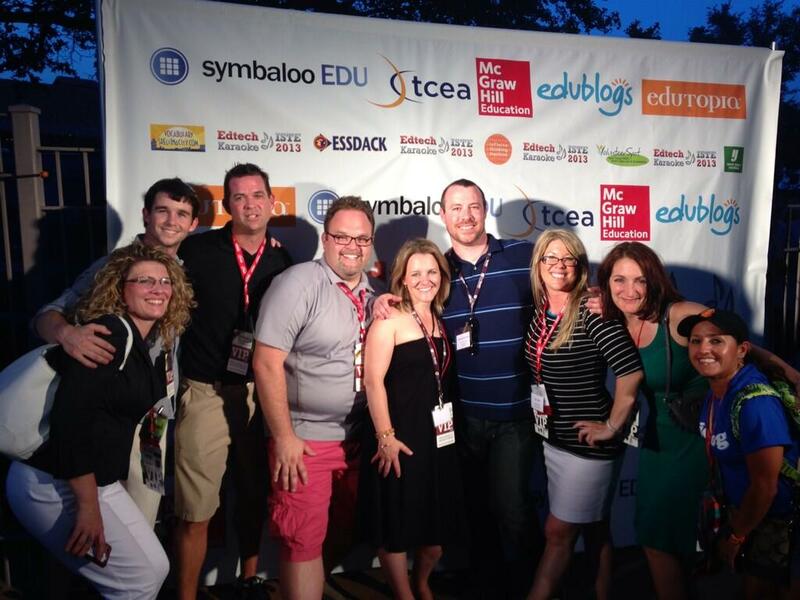 #ISTE13: Much more than a conference! 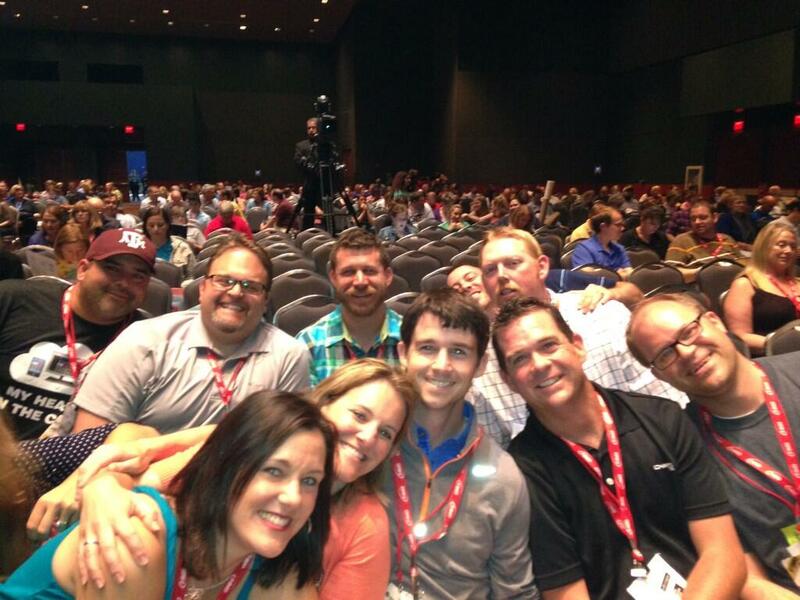 As I sit back and try to reflect on the past 5 days at ISTE, I find myself with a HUGE smile on my face. Brad and I knew coming to ISTE was going to be a highlight of our year and a chance to meet amazing, but it was much more than that. 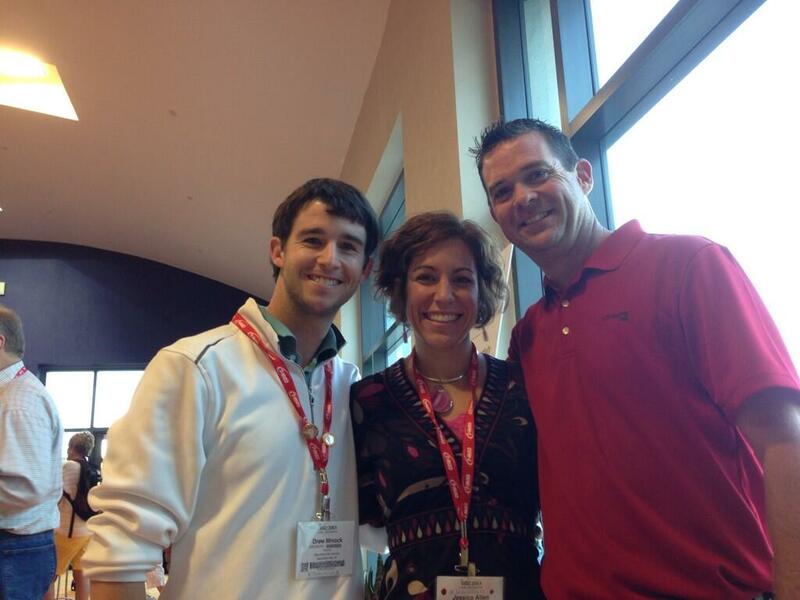 This conference, as our new friend Todd (@TechNinjaTodd) says, has changed everything! Usually when I attend a conference, I research all the sessions I want to attend, go to the sessions, and then go home. I learn great new ideas I can use but often leave disappointed. Our ISTE experience was the exact opposite of every other conference I have been to. 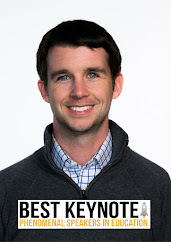 I attended exactly 1 session (The Tomorrows Toolkit by role models Erin Klein, Adam Bellow, Kyle Pace, and Michelle Baldwin) the entire 5 days I spent at ISTE and learned more than I ever knew was possible. 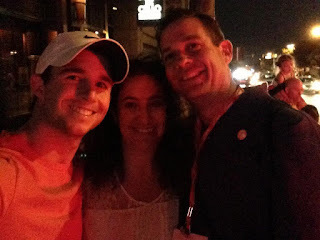 We have been very lucky to meet and become great friends with Erin Klein and Andrew Vanden Heuvel before our journey to ISTE. Erin has been a role model and major inspiration to the three of us boys. She has given us amazing advice and shared her knowledge with us. It was our nights together I will always remember and really cherish. It gave us time to learn more about each other and become even closer friends. 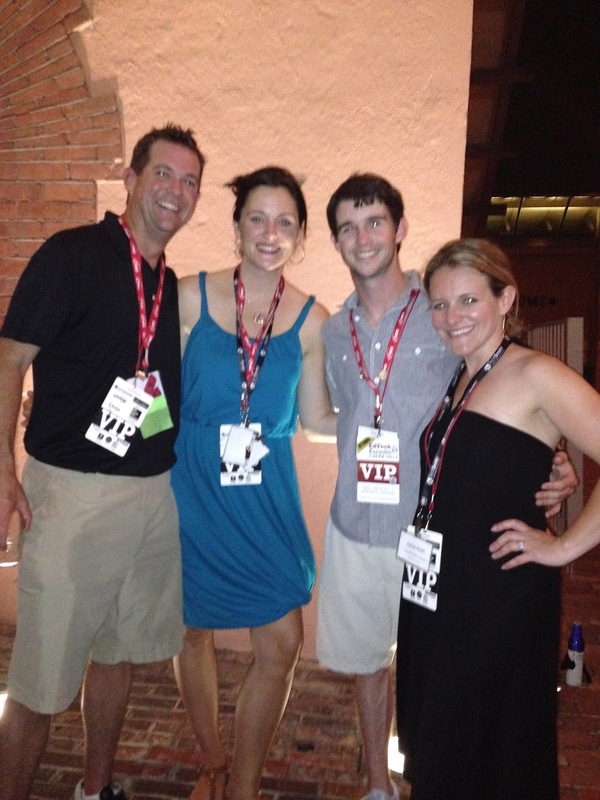 We value every bit of advice we receive from Andrew and Erin and know we are very fortunate to call them friends. 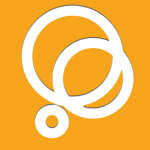 Three Ring has been one of our "Game Changing" app from the beginning. I have had contact with Three Ring's other head honcho Steve Silvius for the past few months so it was great to finally meet someone from the company. We hit it off right away and struck up a great connection. Michael gave us a great behind the scenes view of Three Ring's future goals and plans. We are very excited about staying connected with Michael and Three Ring in the future. It is definitely an app that has changed everything for Brad and I so we recommend it to everyone. Kevin aka Yoda, has been a great mentor for us young Jedi. 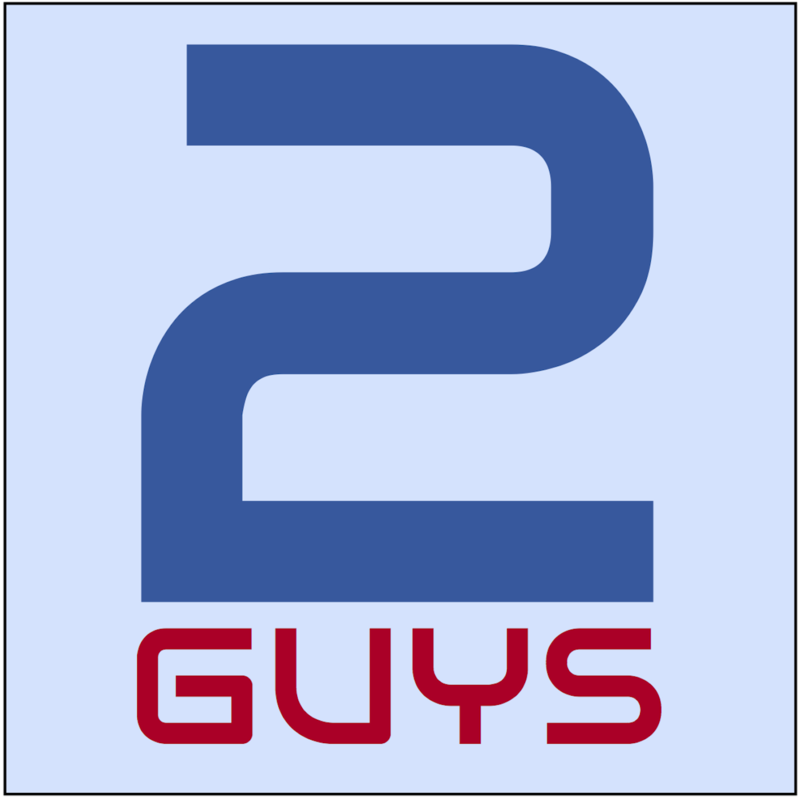 He has given us priceless advice and has always been very approachable and willing to help. 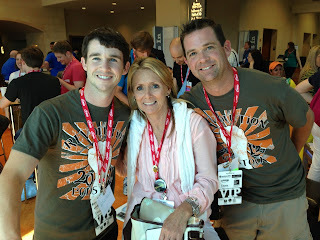 Kevin has introduced us to many amazing people and is the reason we attended ISTE this year. 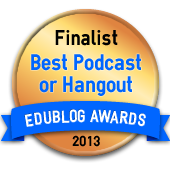 We can not wait to hangout again at Podstock in a couple weeks and continue building our friendship. We have connected with Sam a lot of the past month and I had a chance to co-monitor a #PATUE chat about augmented reality a couple weeks ago. We only got to chat for a couple of minutes after Sam's presentation but it was a pleasure to finally meet Sam in person. We will be working together this next Tuesday when Brad and I help co-monitor another #PATUE chat on augmented reality in education. It takes place at 8pm EST so please join us! It was so amazing to meet Jessica at ISTE! Jessica is a director of technology from Santiago, Chile. She noticed she was doing an iPad pilot very similar to ours so contacted me on twitter. We hit it off and meeting in person was even better! Jessica has amazing energy and passion to help students develop and grow into lifelong learners. She has tagged me as her "virtual boyfriend" which is a great honor! haha. We are very excited to stay connected with Jessica and work together in the future. 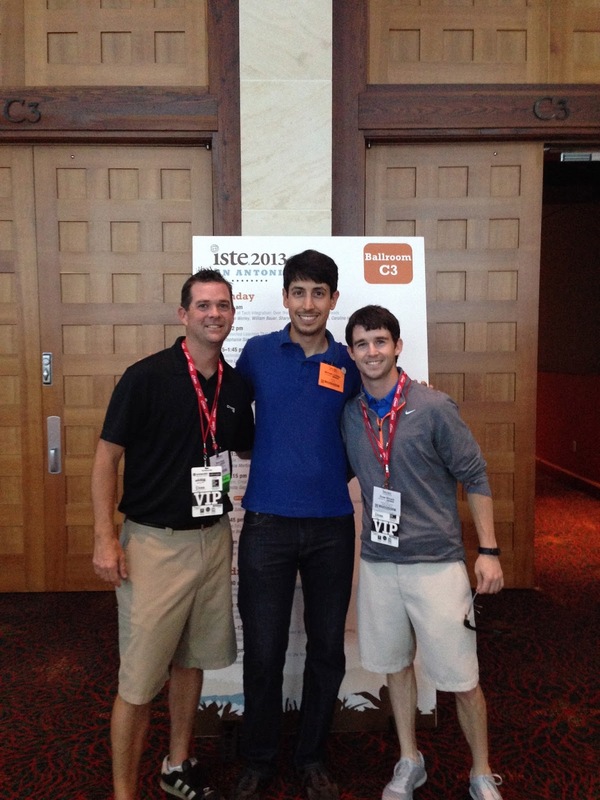 It was an absolute privilege to meet Dan Rezac and Scott Weidig from the EdReach Team this past week. We felt lucky and honored when they asked us to join their live show on Tuesday morning. It was great to talk about what we are doing and hope it helps educators around the world. Dan and Scott are doing some amazing things at EdReach and we hope this is just the start to a great friendship. More Game Changers and New Friends! 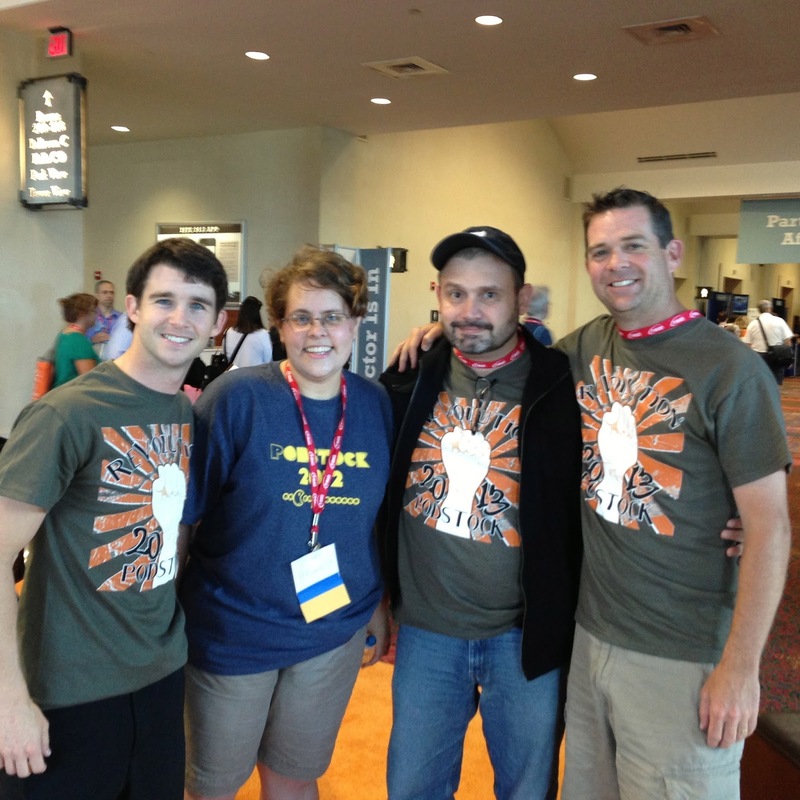 Here are some pictures of more amazing friends we made at ISTE! Lunch with great new friends! EdTech Karaoke with amazing people! Brad doing an interview with education reporter Tanya Roscorla. Getting my chance to interview with education reporter Tanya Roscorla. This is after the marching band came rolling through! Lunch with amazing friend Andrew and Ryan! We also met many more amazing educators at ISTE including the amazing Jimmy Casas, Amanda Dykes, Jon Samuelson, Shawn Rubin and Michelle Baldwin! ISTE Day #1: Bringing SA Zoo and Dinosaurs to Life! Wow is how I would describe day #1 at ISTE 2013. Brad and I busted out some augmented reality on the plane to San Antonio and it didn't stop until our heads hit the pillows late last night. Brad and I were playing around with augmented reality on the plane when we notice someone standing in the isle looking over our shoulders. That's when we got our first chance to show off our Planets app to Kip from Garden City. He was blown away by the technology and took a couple of cards to pass out. Once we landed and checked into our hotel it was time for our behind the scenes look at how the San Antonio Zoo is using augmented reality to teach kids. It was an amazing experience to walk around the zoo with Libby Castillo and Jeremy Kenisky to get a first hand look at the excitement visitors have for augmented reality. After our visit to the zoo, Jeremy took us over to The Witte, a science museum, to gives us a tour of Dinosaurs Unearthed. His company has used 20 iPads spread out to engage the visitors with an augmented reality experience like no other! The day ended connecting with amazing educators and great friends! 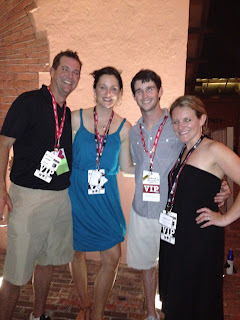 We are very lucky to have made great friends with rockstars like Erin Klein and Andrew Vanden Heuvel. 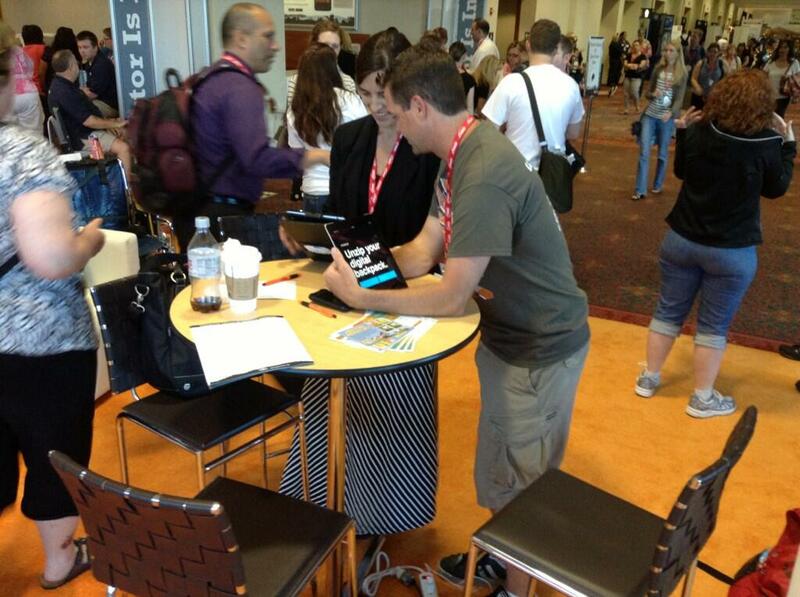 It was a wild first day at ISTE 13 and I know the week is only going to get better! 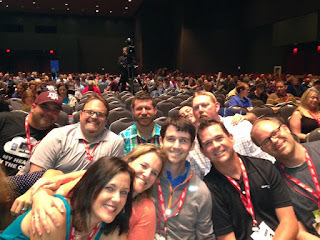 ISTE: Days of Learning and Connecting! 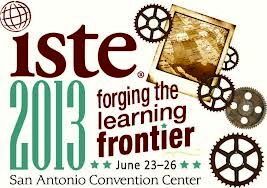 This Saturday morning we will board our flight to San Antonio and ISTE 2013! We have spent the past 6 weeks working hard and preparing for this epic conference. 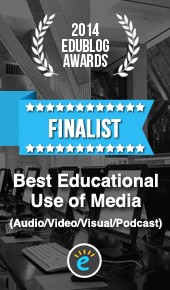 We are extremely excited to connect with some many of our Twitter PLN friends! 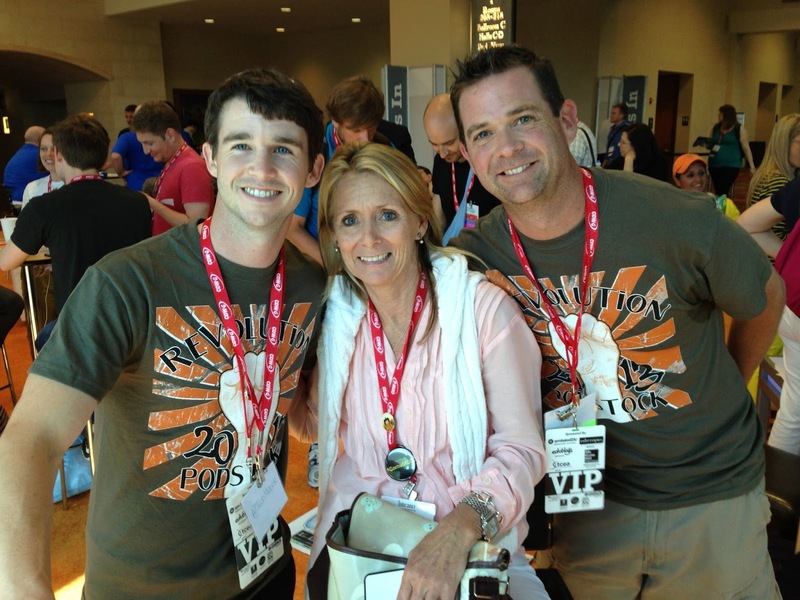 We are hitting the ground running as soon as we step foot off the place in San Antonio! We are very lucky to be getting a behind the scenes look at the San Antonio Zoo augmented reality app SA Zoo-AR. The San Antonio Zoo is the first major zoo to launch an augmented reality campaign. 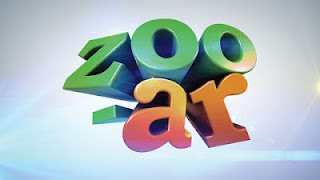 The app was created by Zoo-AR and Founder Jeremy Kenisky will be explaining to us how they use augmented reality to educate and engage kids. 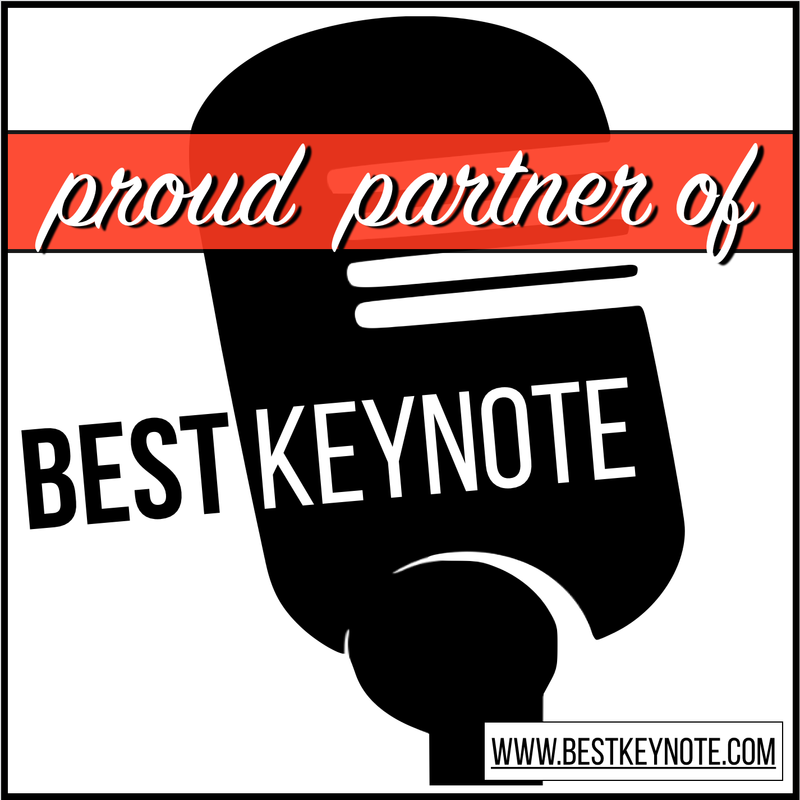 There are many more exciting and amazing sessions that will take place over the 5 days in San Antonio. Brad and I will be coming to ISTE with great augmented reality goodies to give away and a few surprises! You will have to connect with us at ISTE to find out what those surprises are! 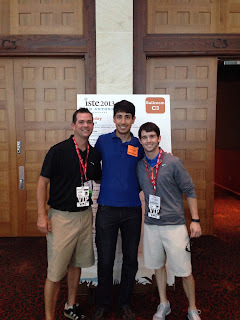 We will be updating everything that happens at ISTE on Twitter @TechMinock and @Techbradwaid . 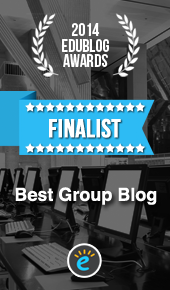 We will also be updating our blog as much as possible throughout the week with exciting news and events. Three Ring is a powerful tool that allows teachers to create, and share digital portfolios of the students in their classroom. This application has transformed the way we interact and communicate with the parents of our students. Sustainability is one of our school initiatives and Three Ring has helped us share student assessments, newsletters, and announcements with parents without making a single copy. Three Ring gives us the ability to capture video clips, audio recordings, pictures already on our devices, and capture photos at any moment. This great tool brings the parents into the classroom without physically being there. As one parent has told me, “I feel like a fly on the wall in my child’s classroom.” Three Ring also gives parents talking points with their child when they return home from school because the parents are able to see the activities and assignments we do throughout the day. We have also used Three Ring to capture exciting moments on field trips for those parents who are unable to attend. One of the best things about Three Ring is that the parents can only view their child’s content. This allows us to send pictures of graded assessments and personal pieces of work without the worry of others being able to view it. Once the picture, video clip, audio recording, are shared with the parents, they may comment or ask questions back and forth with the teacher. The teacher may also can also make notes about the assignment or activity that only themselves can see. Three Ring is also great for parent/teacher conferences. Three Ring allows you to search a student’s name, or specific tag, and it will immediately pull the searched content up to view. Three Ring has been created a sustainable and organized approach to student portfolios and parent interaction. 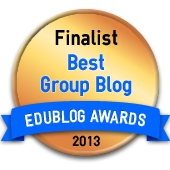 It is an easy, yet powerful tool I recommend to all educators! Co-Monitoring the #PATUE chat for the next 2 weeks! 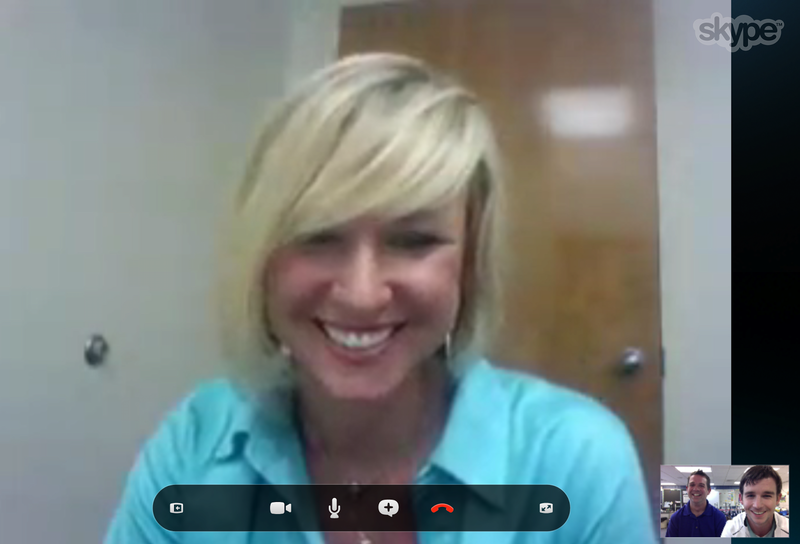 Ashlee Logan- Our EdTech Rockstar friend from SC! When I started my education career many educators I knew feared social media like Twitter, Facebook, Google+, and others could only do harm to your career. I was one of those people as well. Never did I realize the POWER of social media from a professional viewpoint. I can now say that Twitter has changed everything! 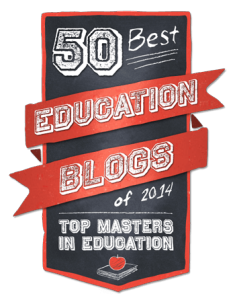 Twitter has opened our eyes to a world of educators and professionals who have inspired us to reach for new heights. It has allowed Brad and I to connect with rockstars like Edtech expert Kevin Honeycutt (www.kevinhoneycutt.org), All-World teacher and blogger Erin Klein (www.kleinspiration.com), Online Teacher of the Year and Google Glass Explorer Andrew Vandel Heuvel (http://www.agl-initiatives.org), EdTech Rockstar Ashlee Logan (@logan_ashlee), and countless others. 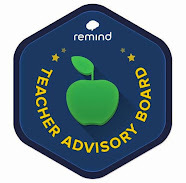 The connections we have made through Twitter have inspired us to take risks, share ideas, learn, and change the lives of the educators and students we encounter. It has given us ideas, and resources to "change the game" and improve the learning environment in our classrooms. We have always been energetic and passionate about education but Twitter has helped us form friendships and connections to try great things. We hope our blog and tweets will inspire you to reach new heights and continue to be a lifelong learner! I will leave you with a statement that embodies the power of Twitter and is one I will never forget. It was the first tweet I received from our New Zealand friend Luke Dyer (@Dukelyer) that read, "Education PLN has no geographical restrictions, boarders or boundaries." Thank you Twitter and all the "game changing" connections we have made!